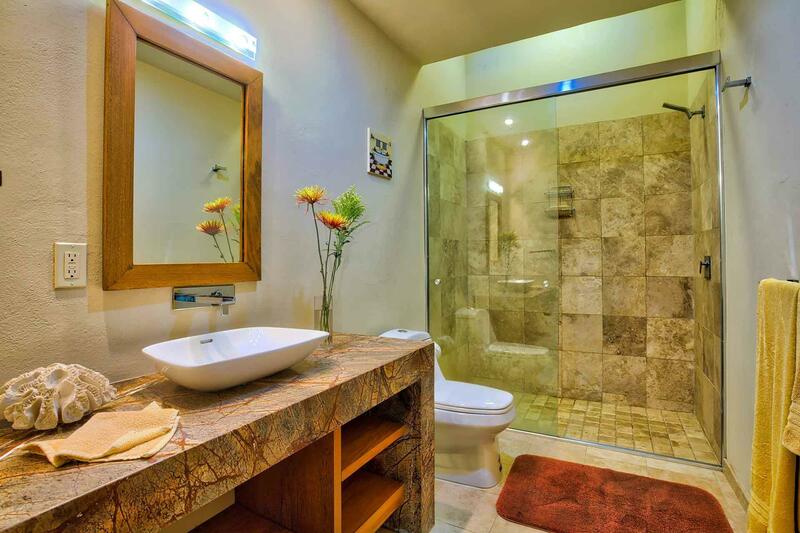 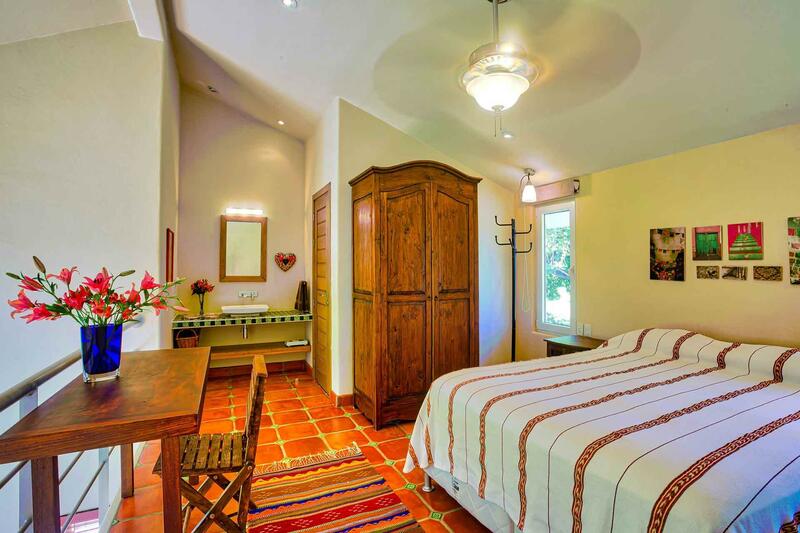 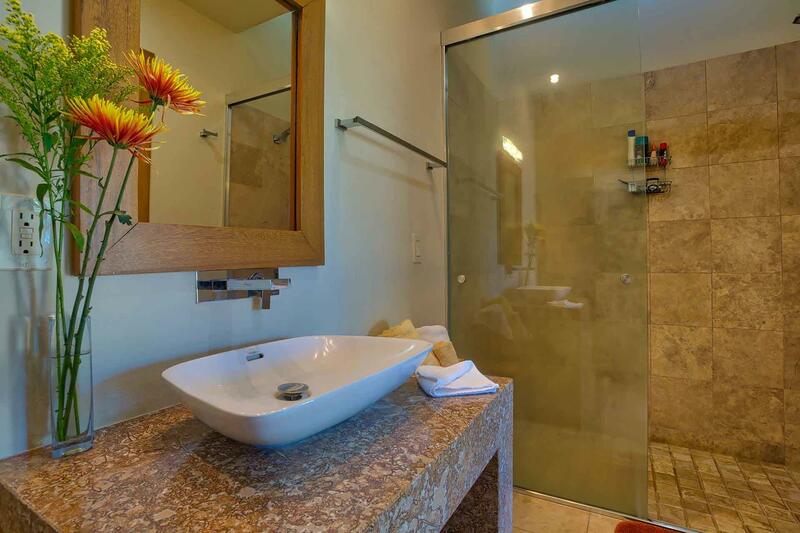 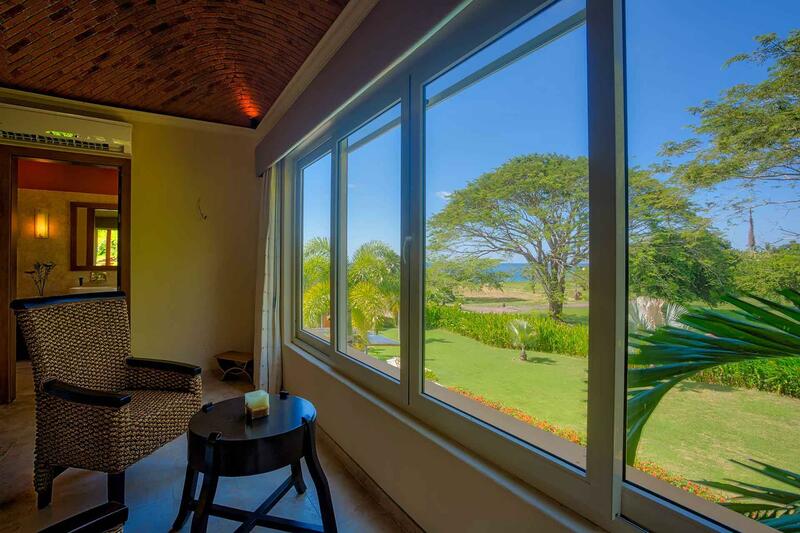 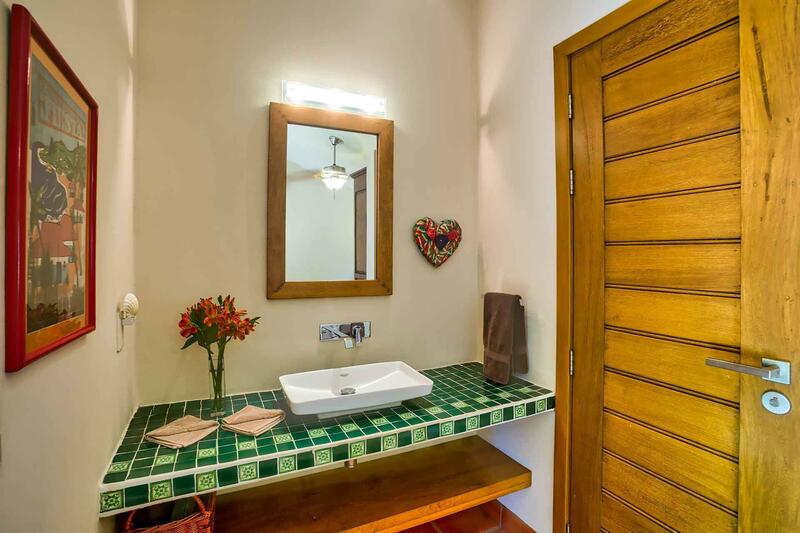 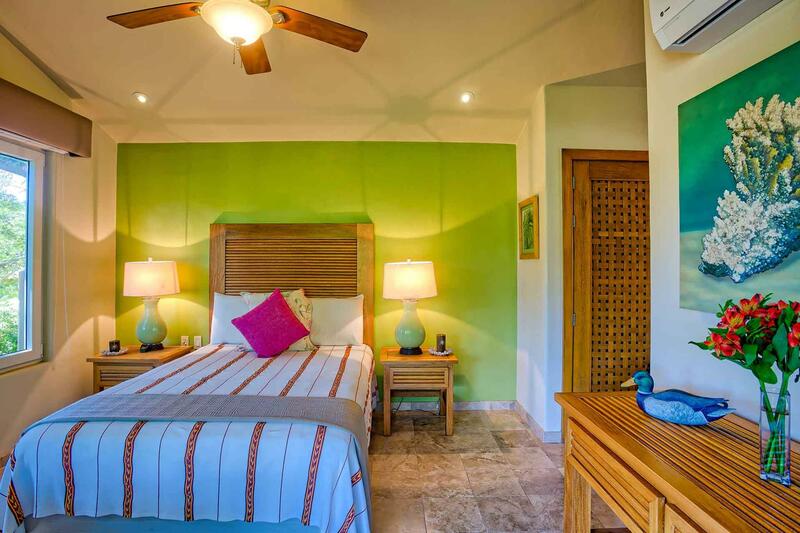 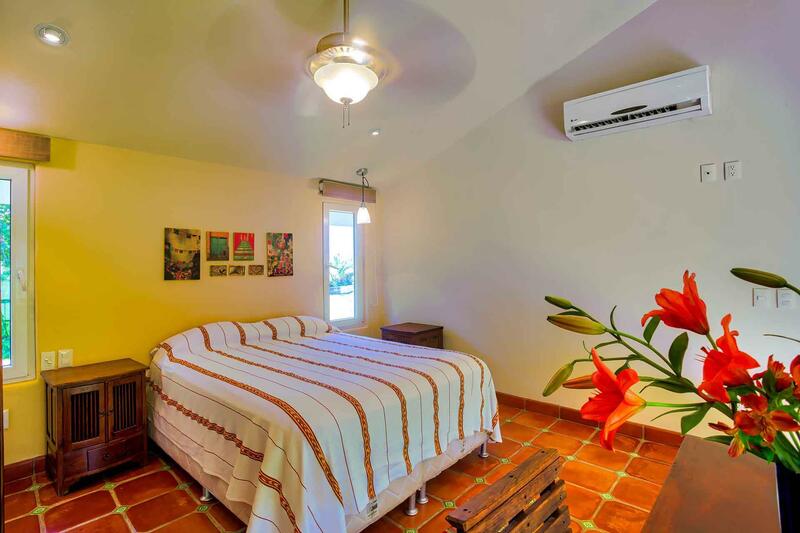 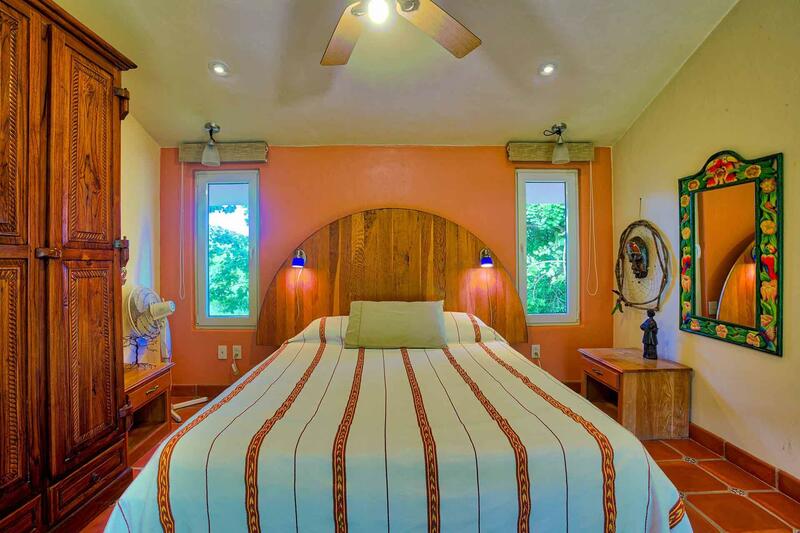 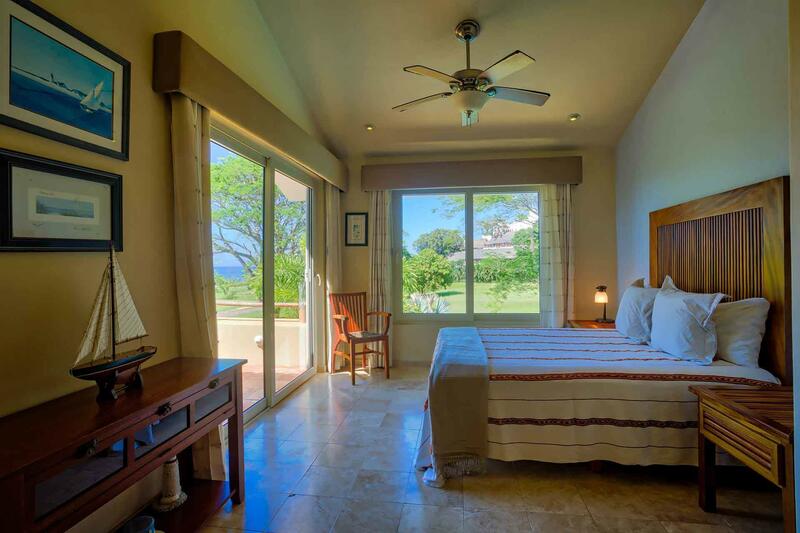 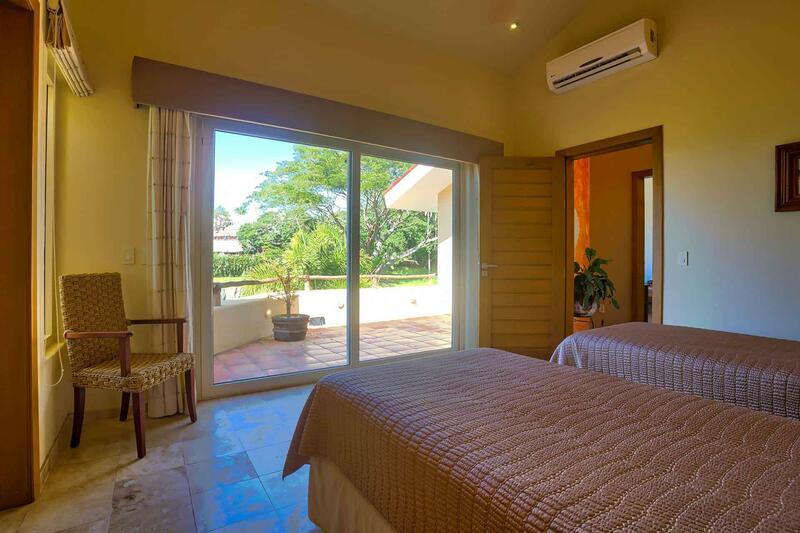 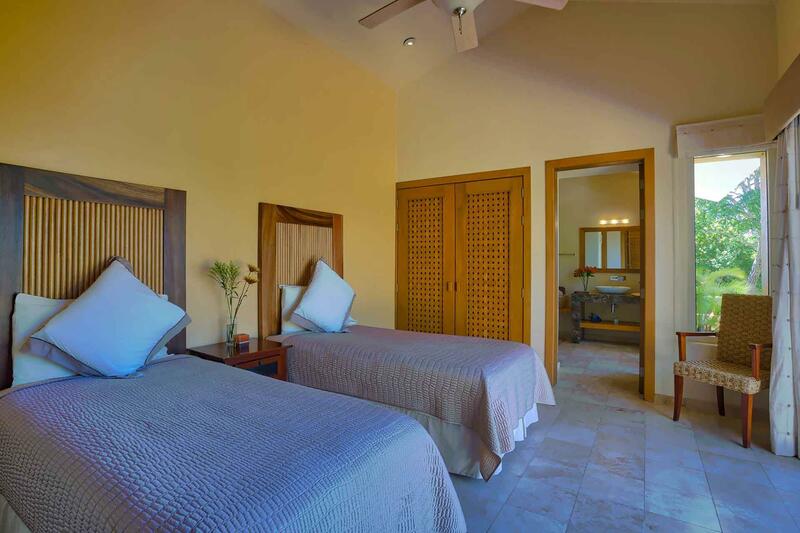 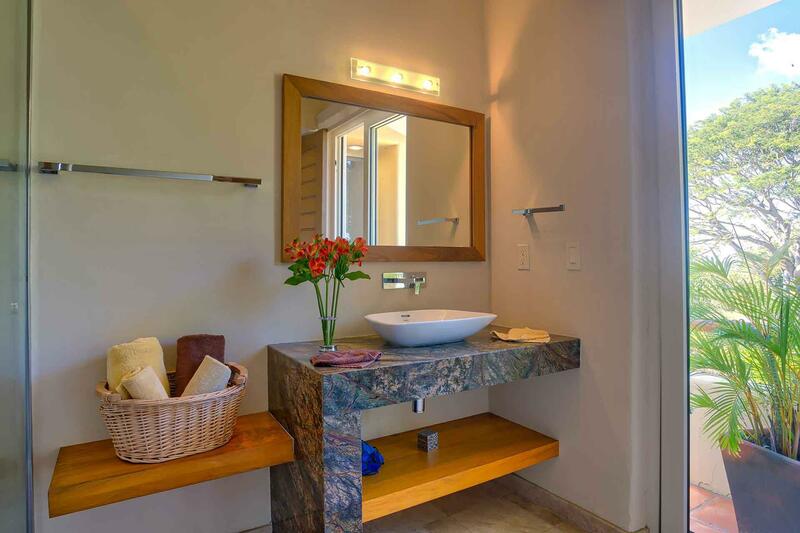 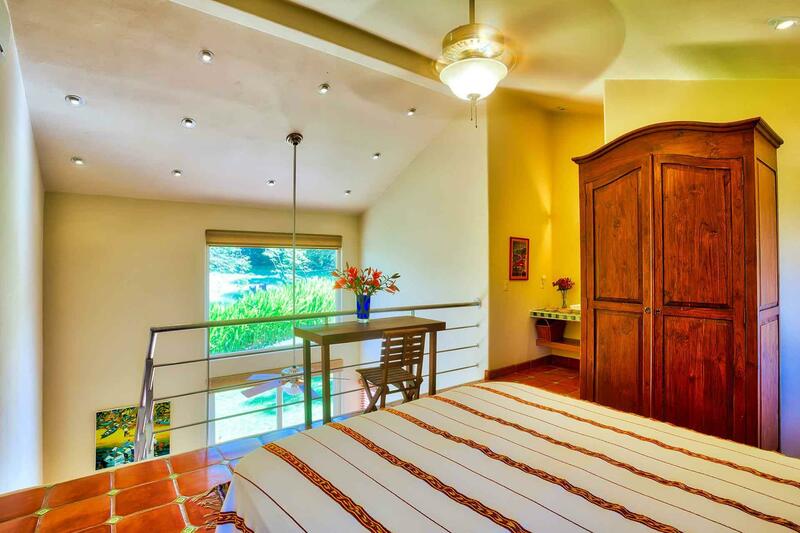 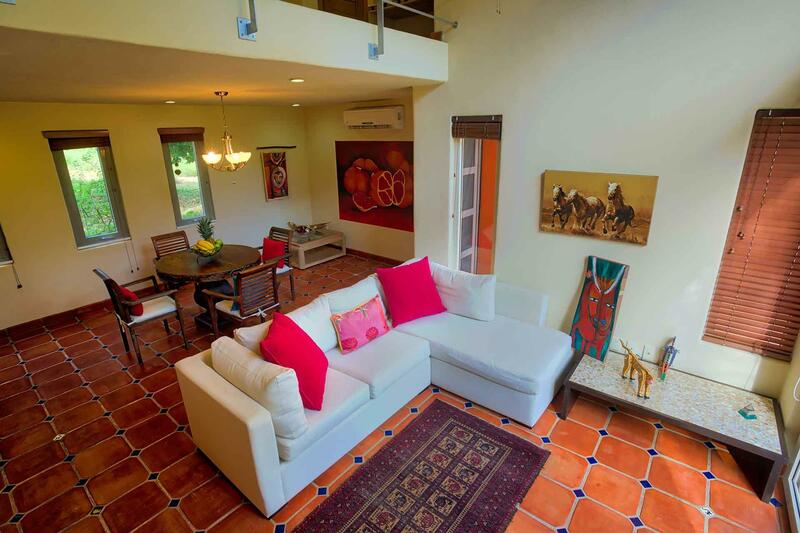 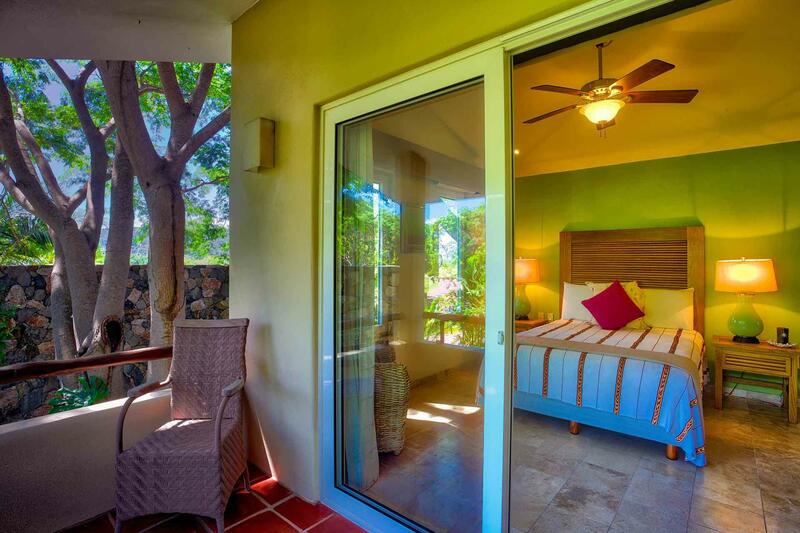 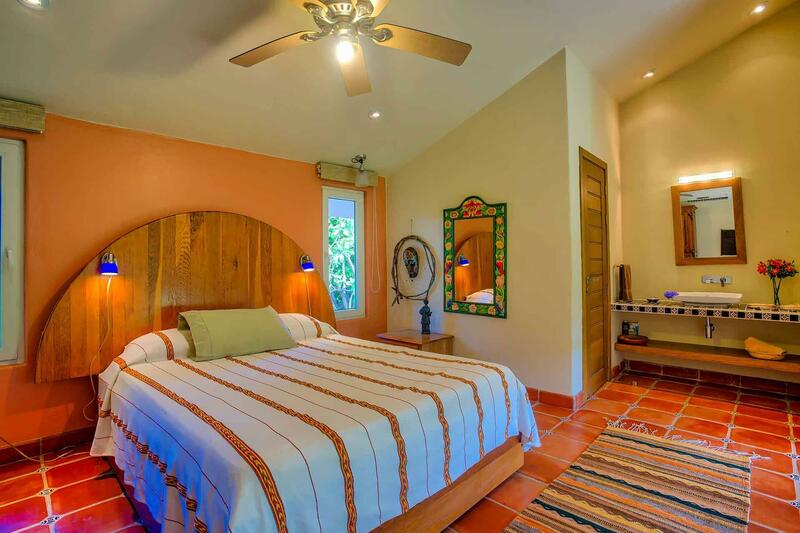 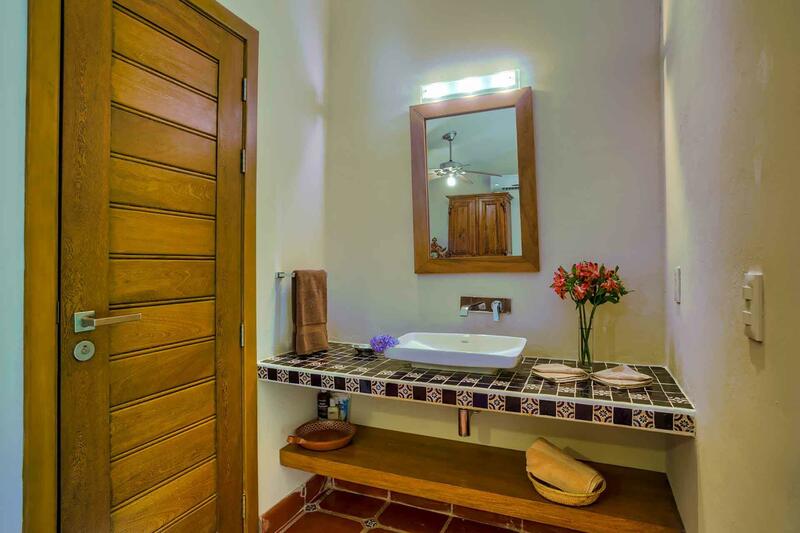 Casa Acuarelas & Casitas, House of Watercolors in English, is a picturesque, four en-suite bedroom villa with two private, one bedroom casitas that are surrounded by beautiful gardens, iguanas and a vast variety of birds while offering views of the Pacific Ocean. 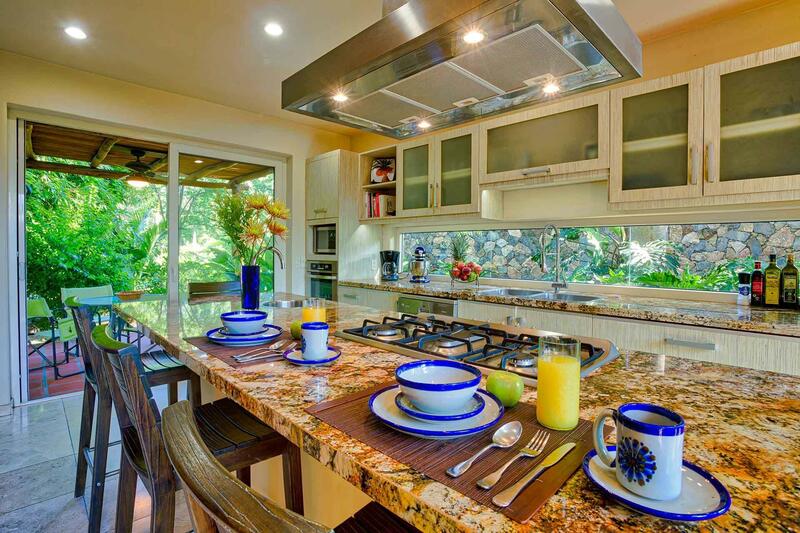 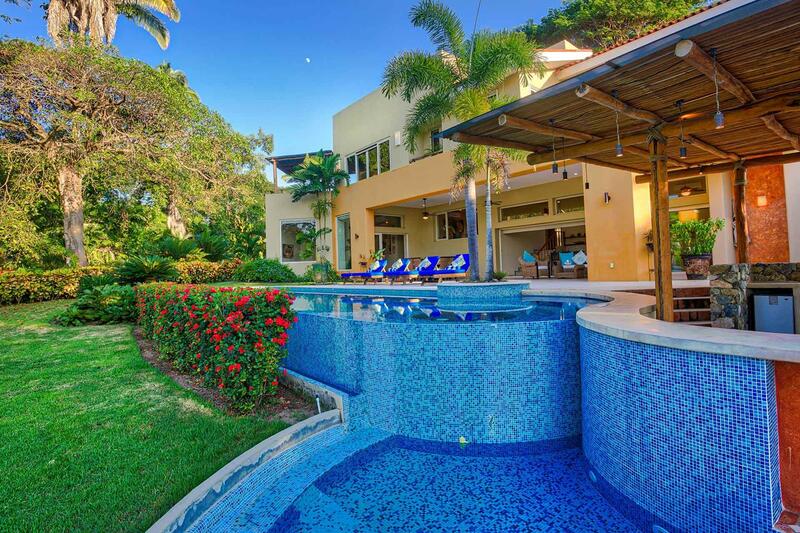 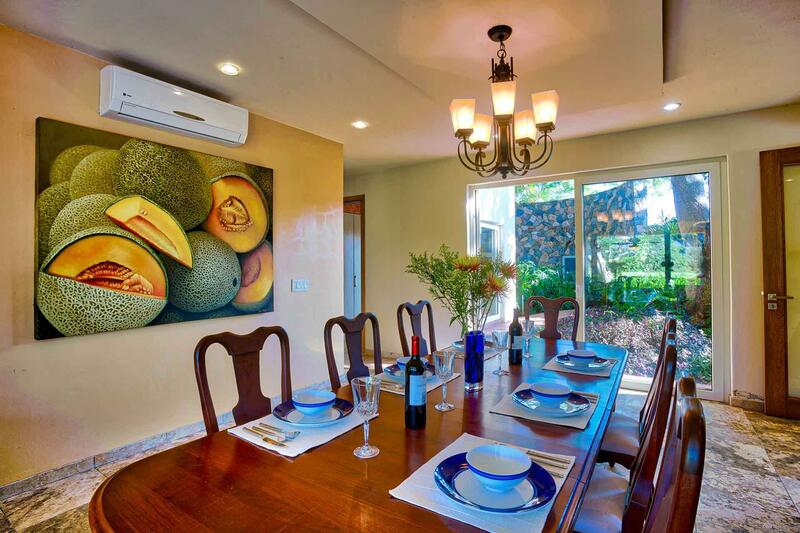 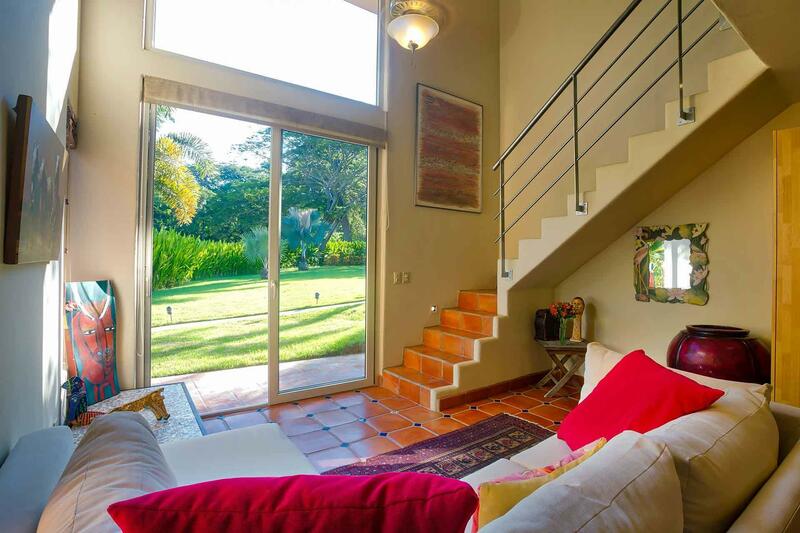 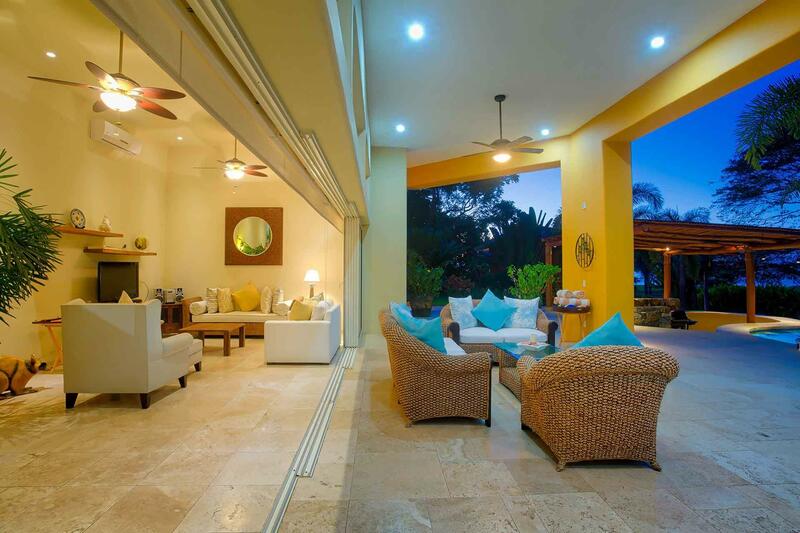 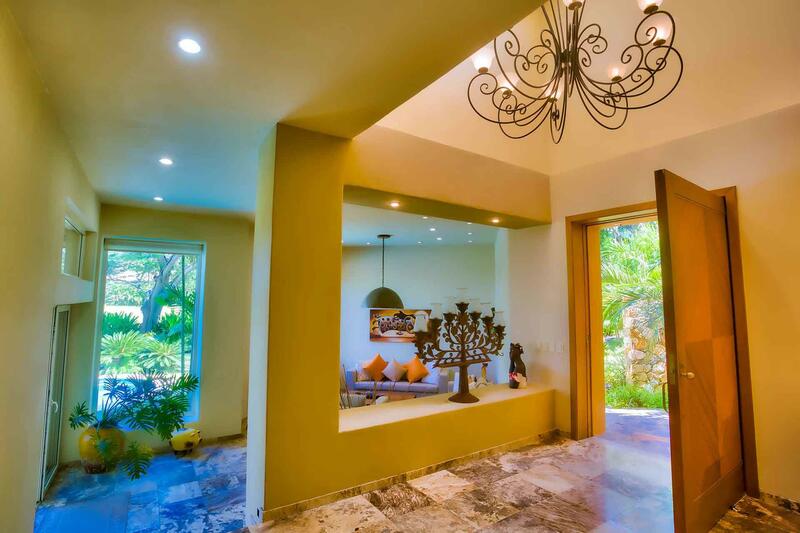 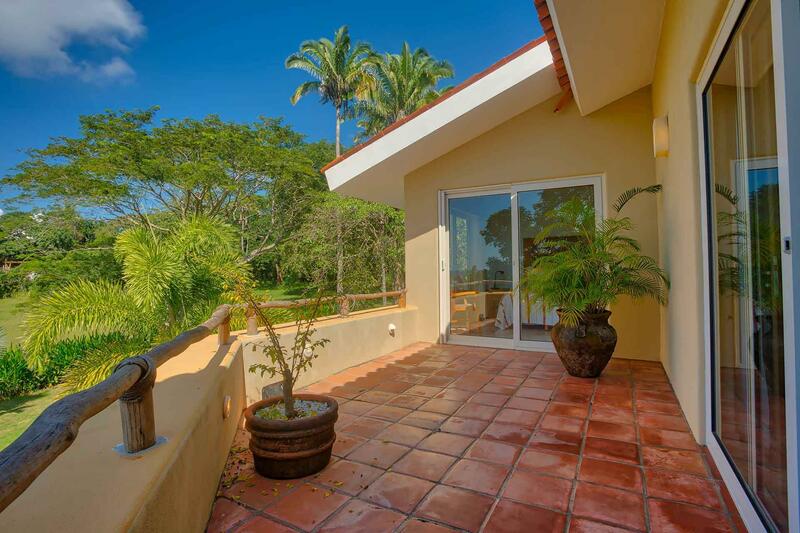 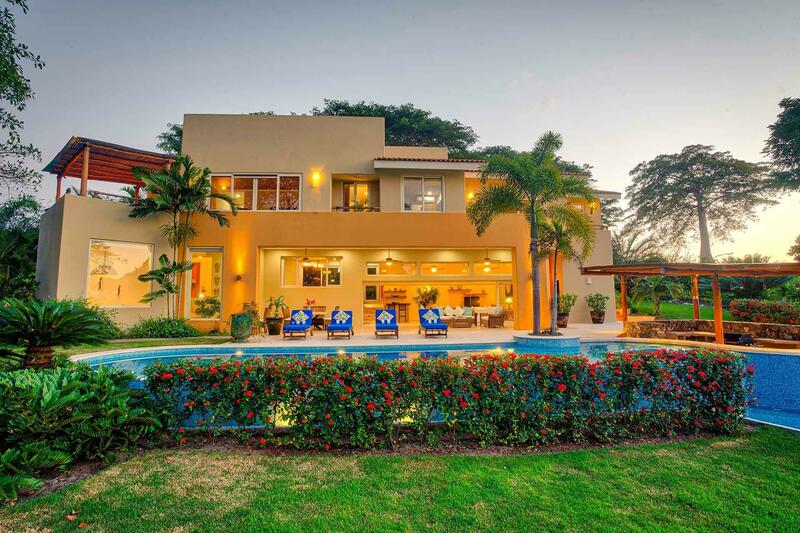 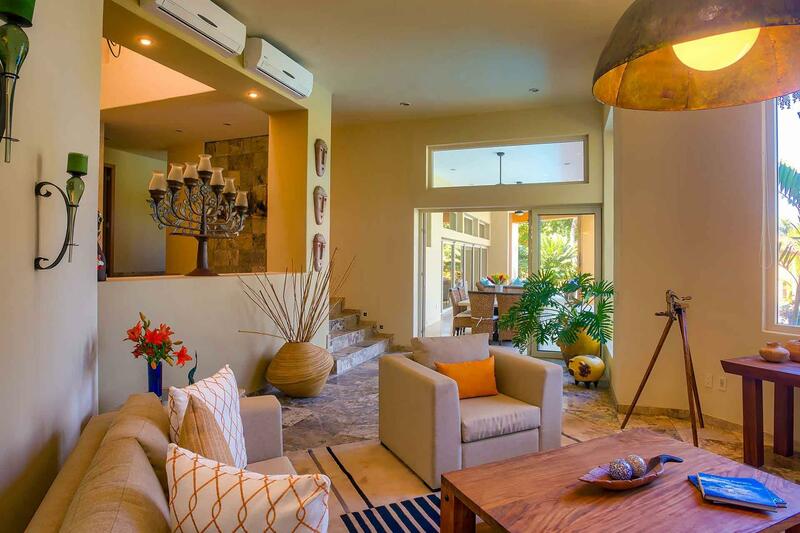 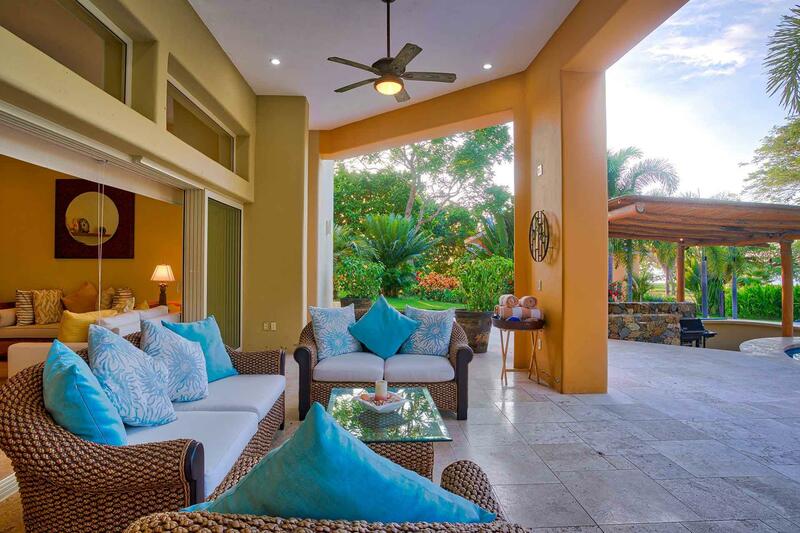 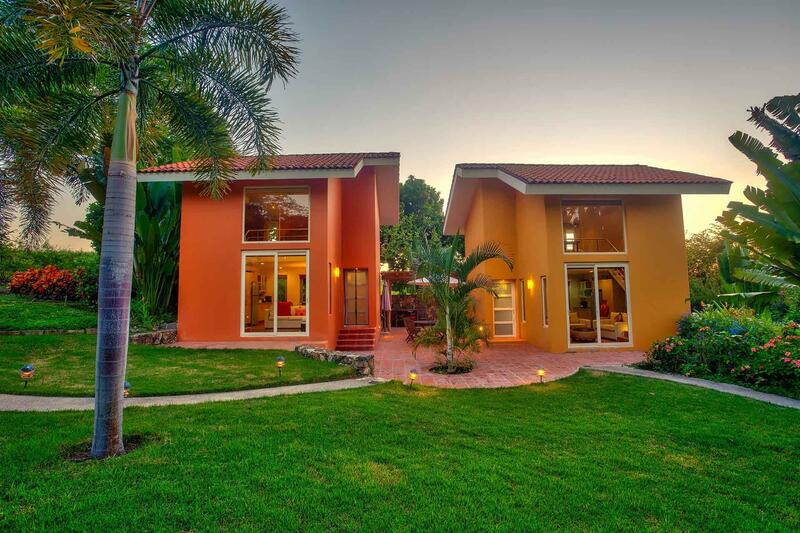 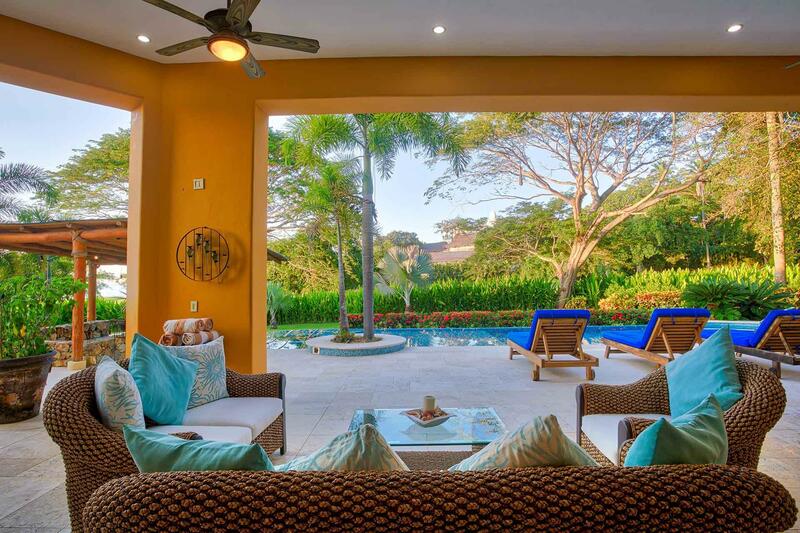 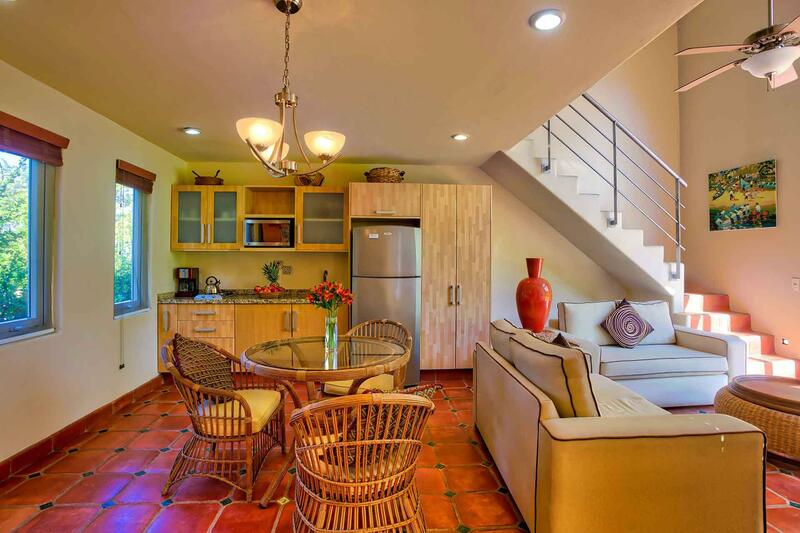 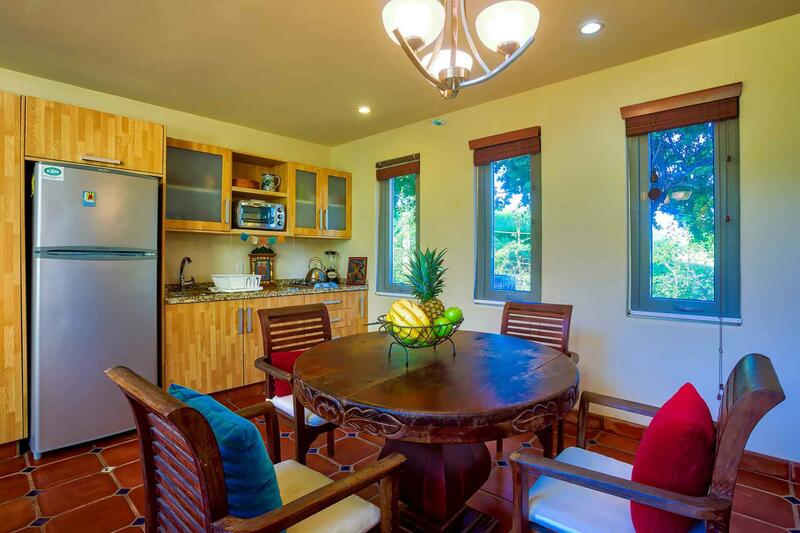 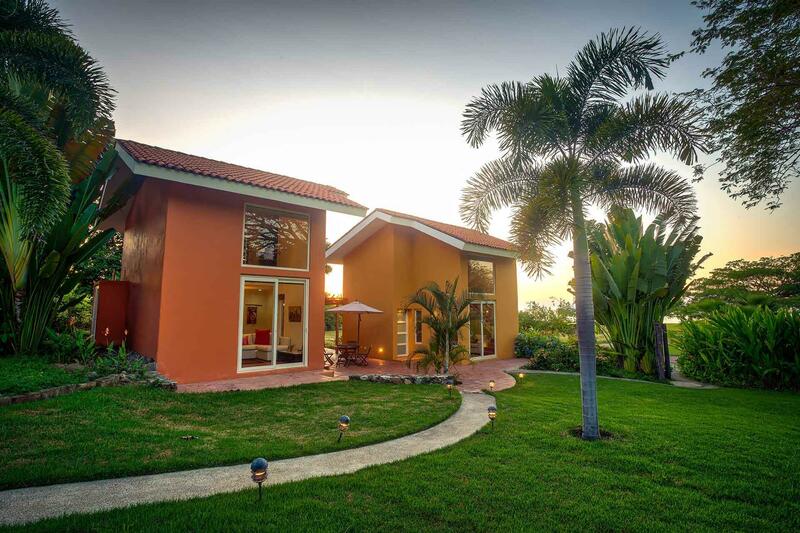 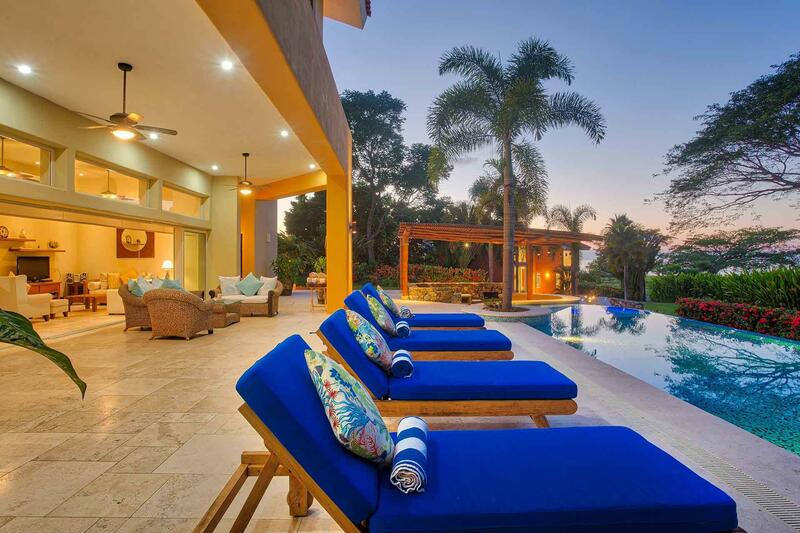 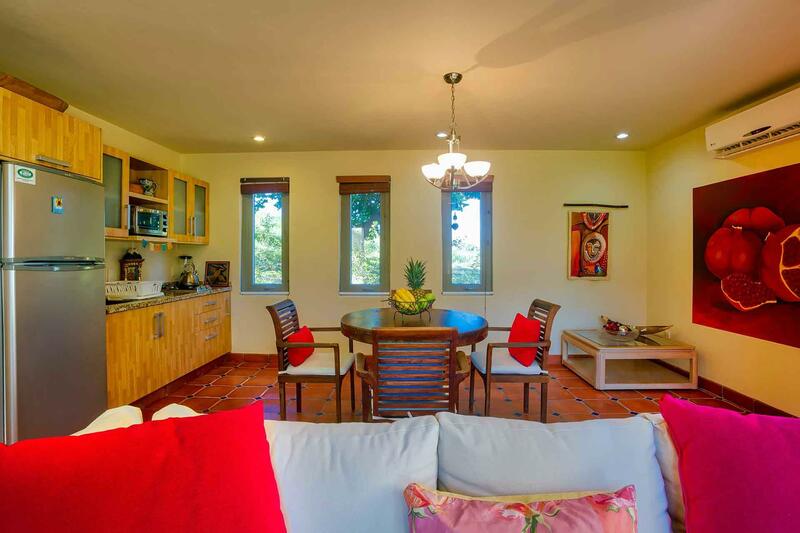 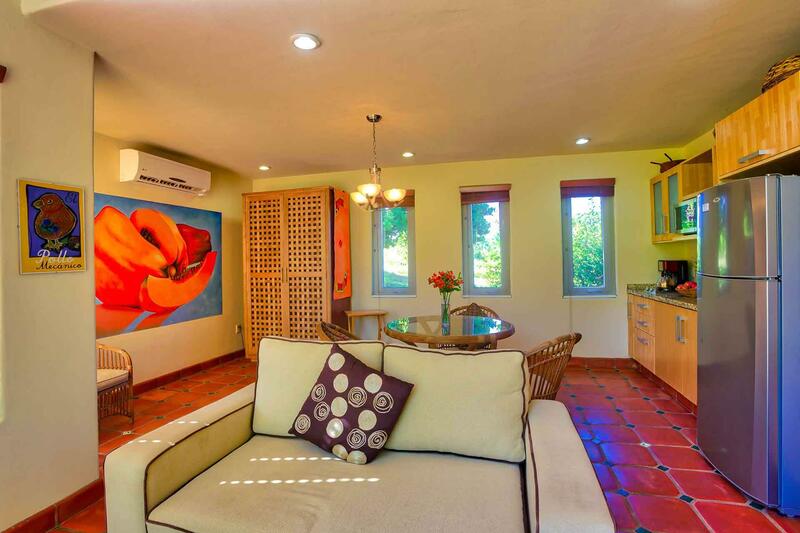 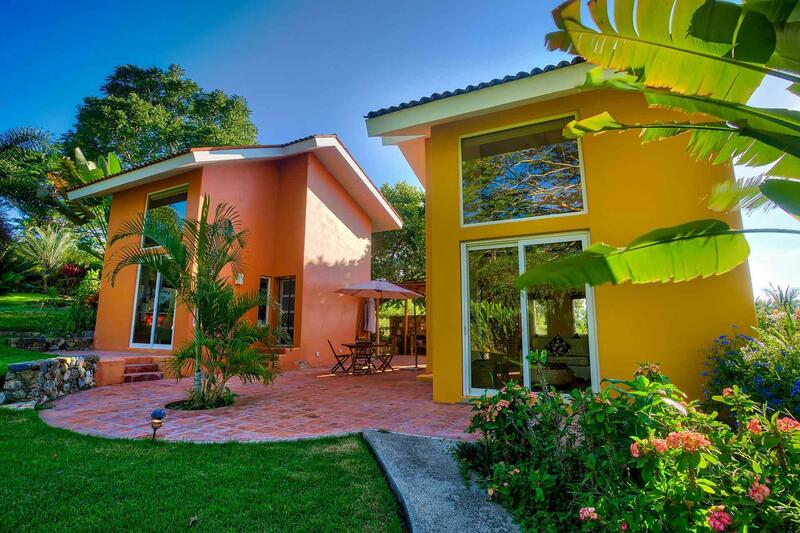 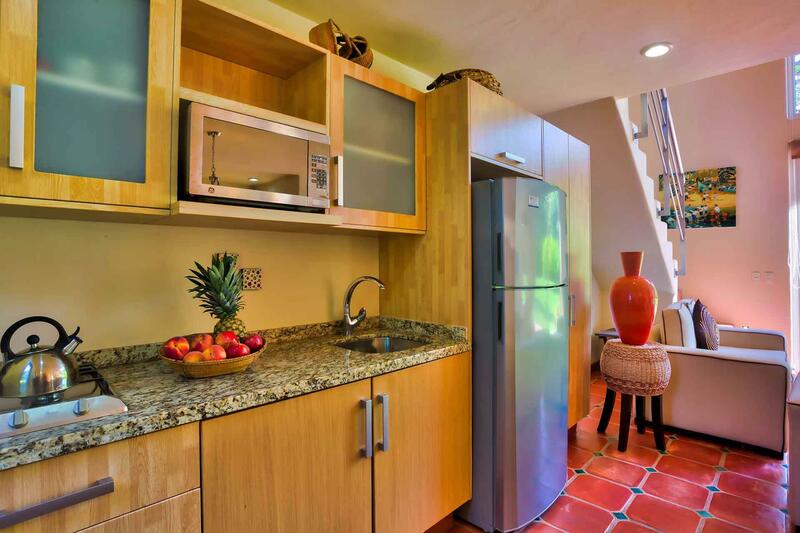 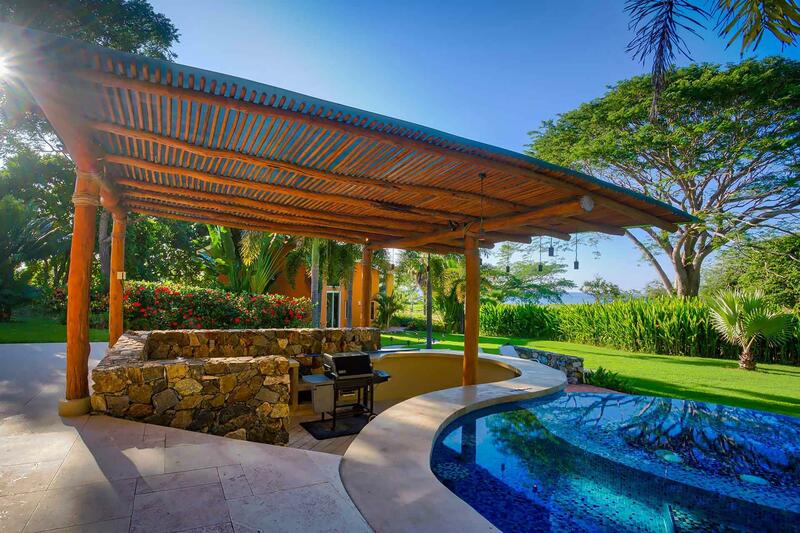 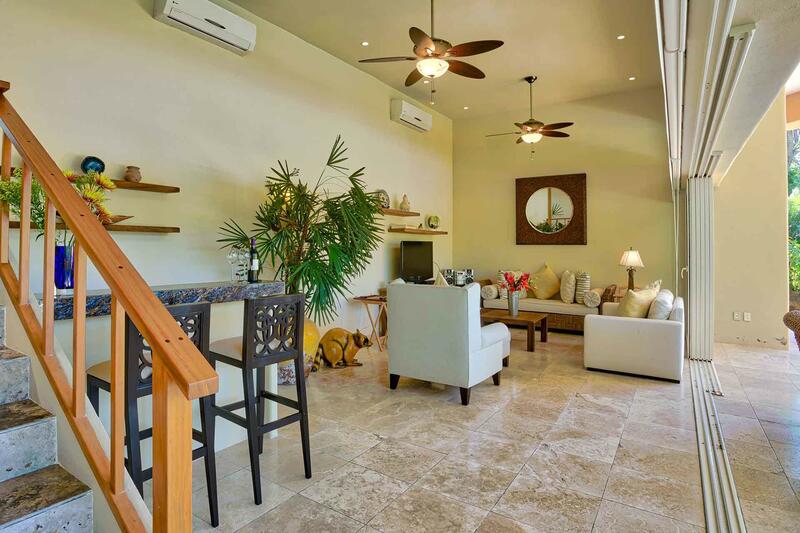 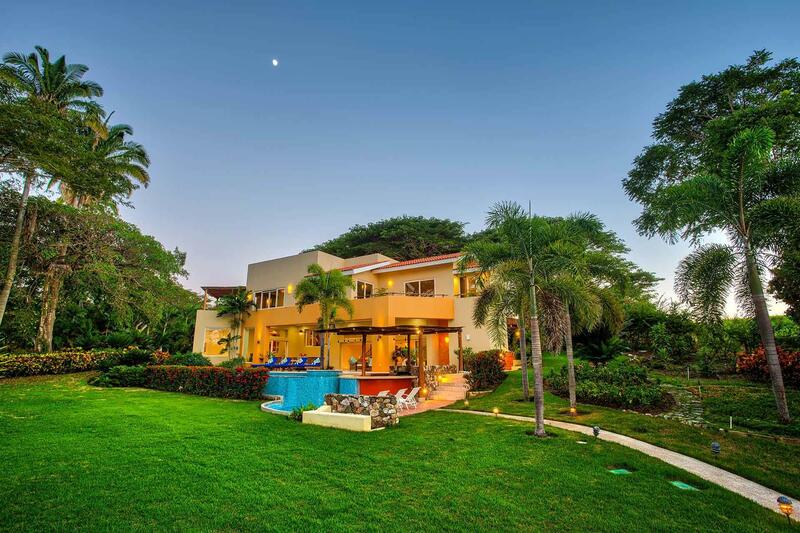 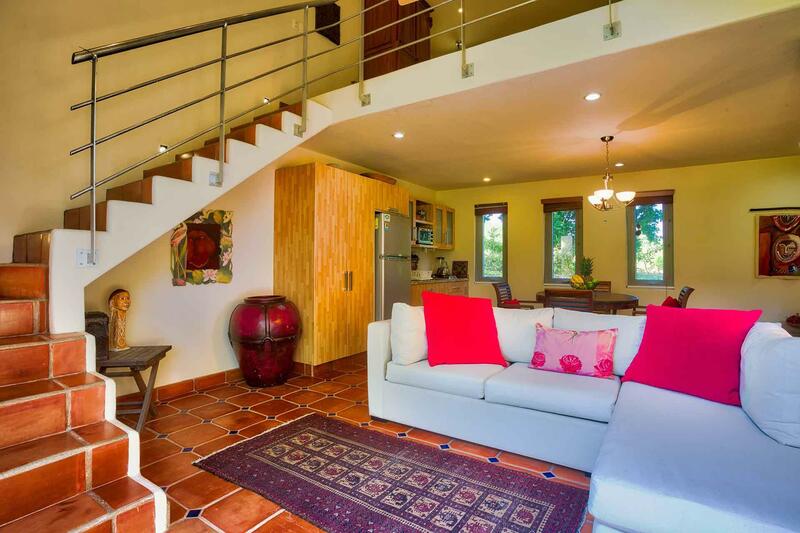 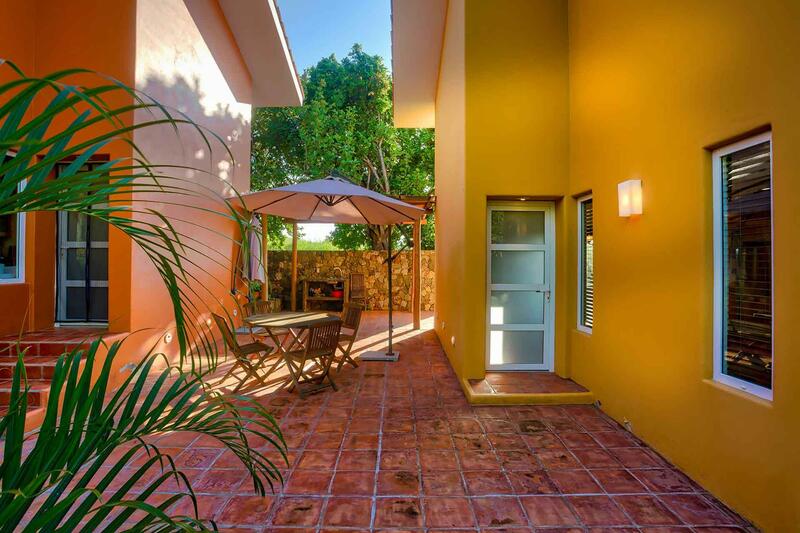 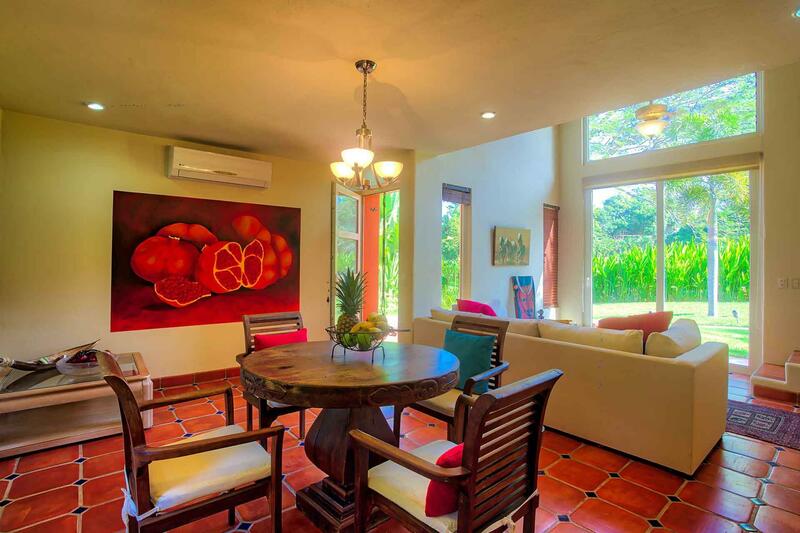 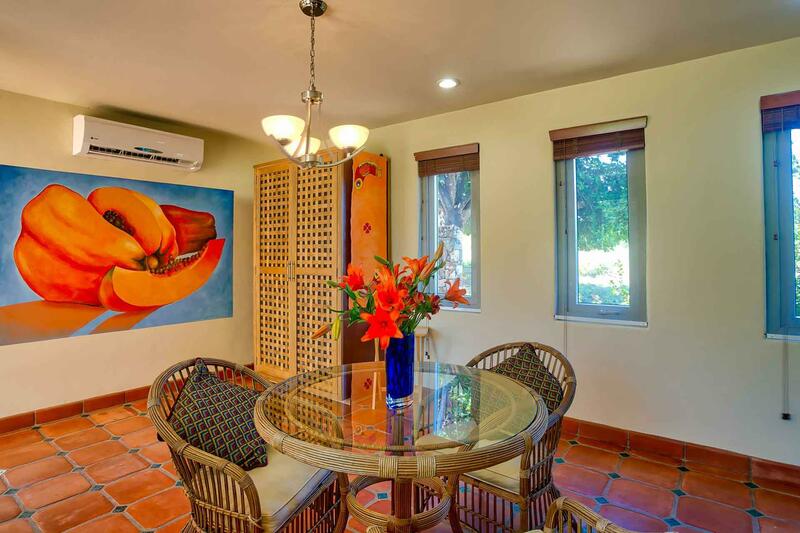 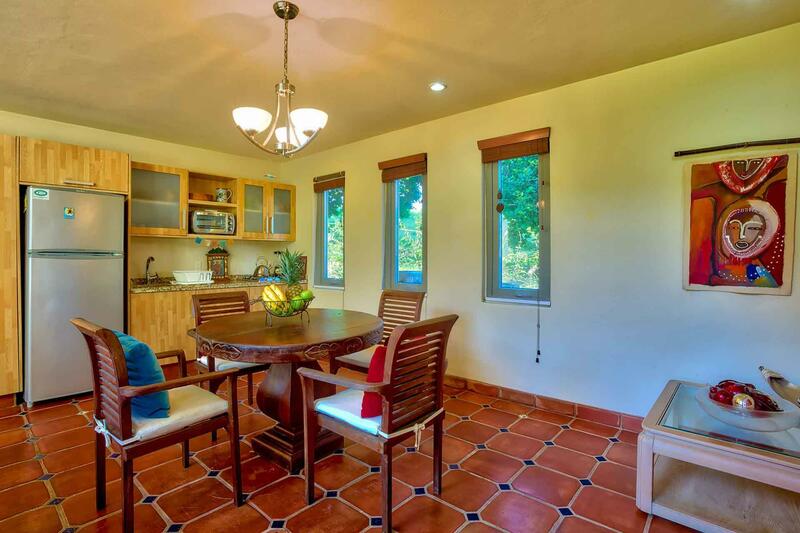 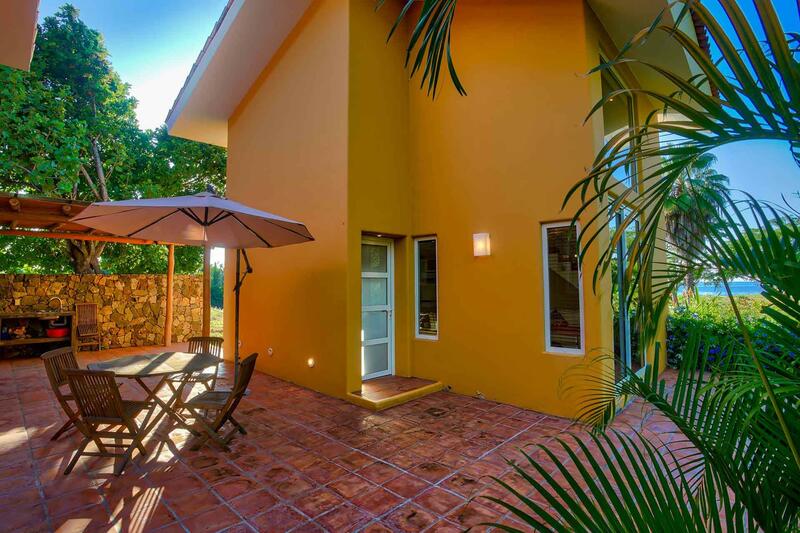 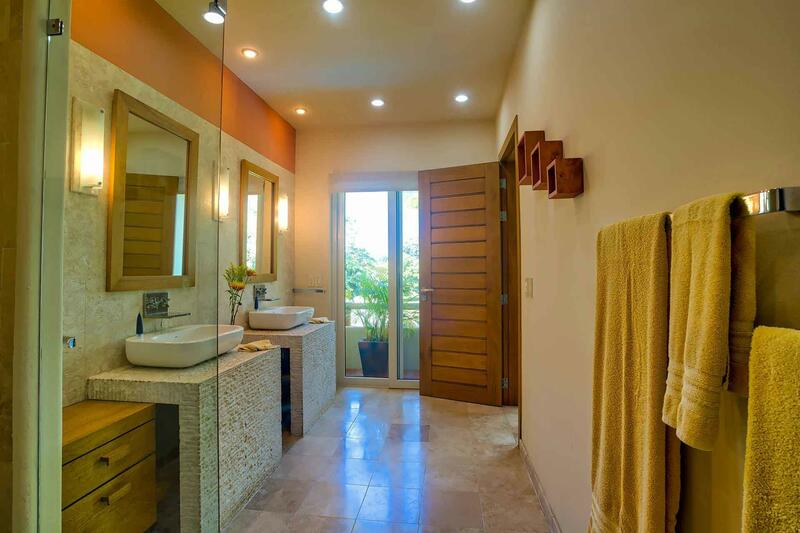 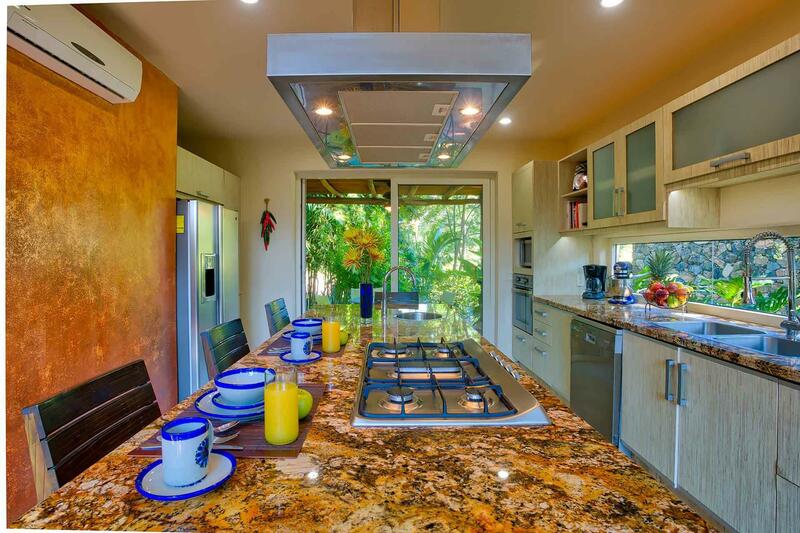 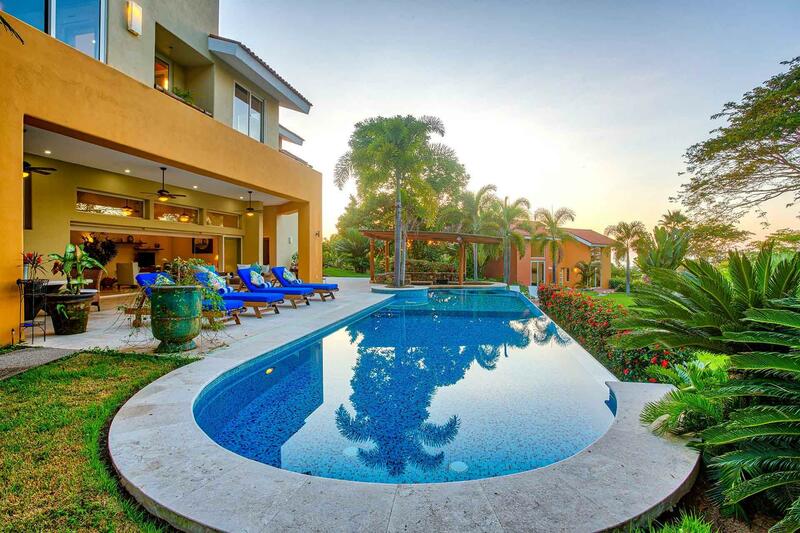 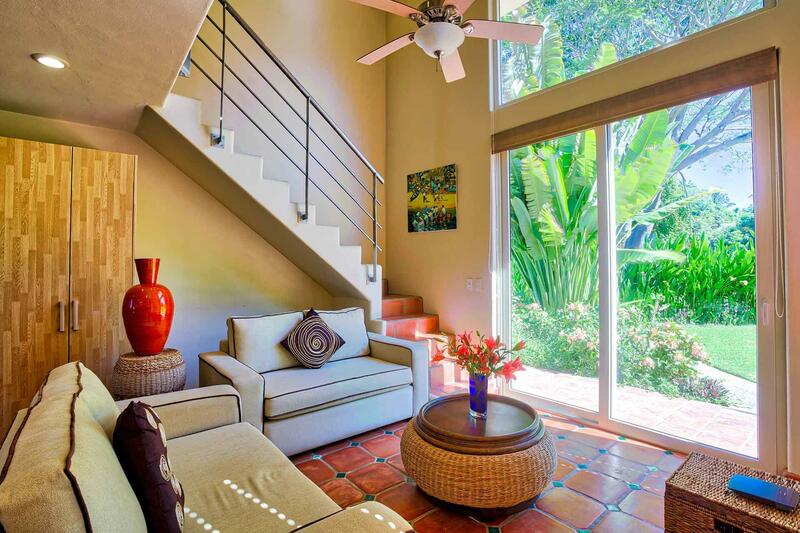 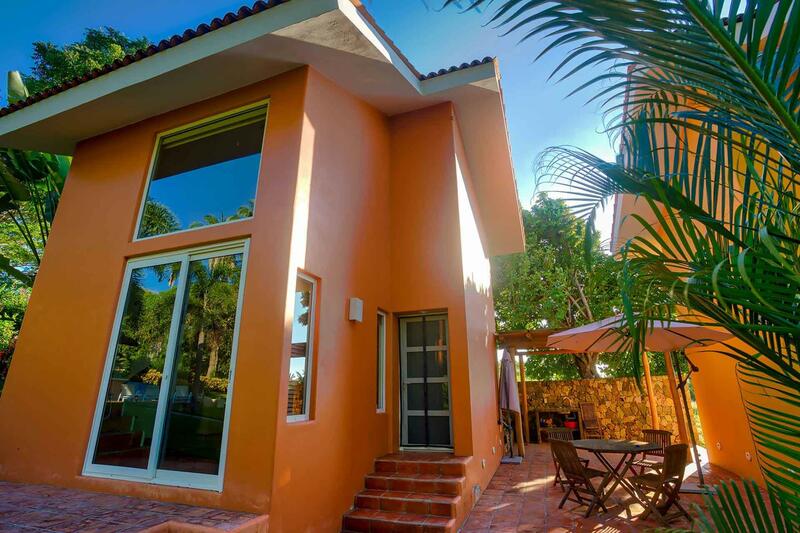 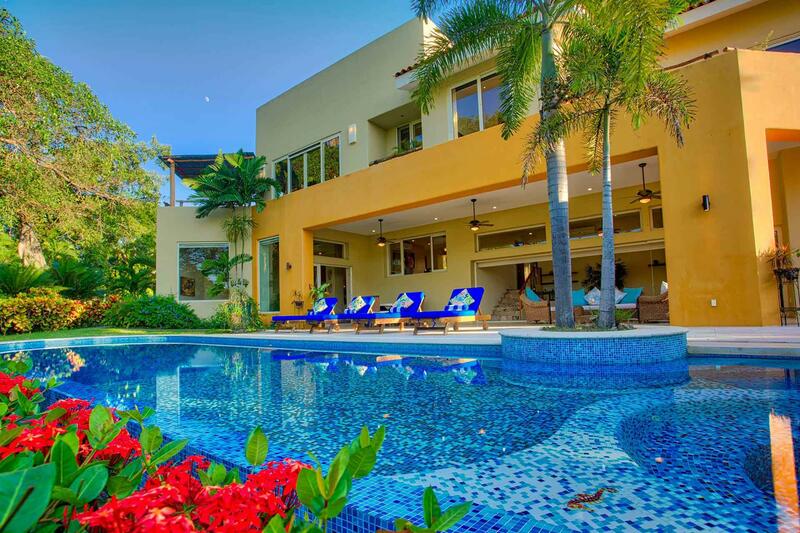 Situated in the Las Olas Subdivision, a prestigious, gated, beach front community, Casa Acuarelas & Casitas are less than a five minute walk to the main beach and a short, ten minute, casual walk to the quaint village of San Pancho. 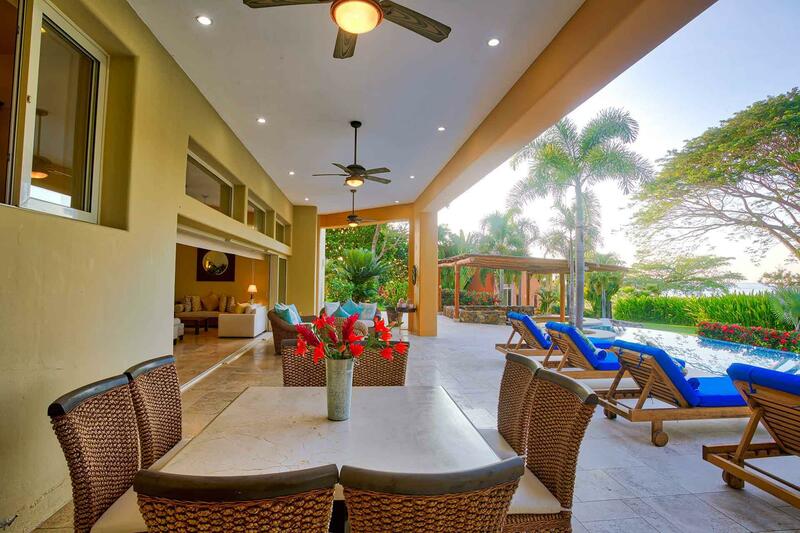 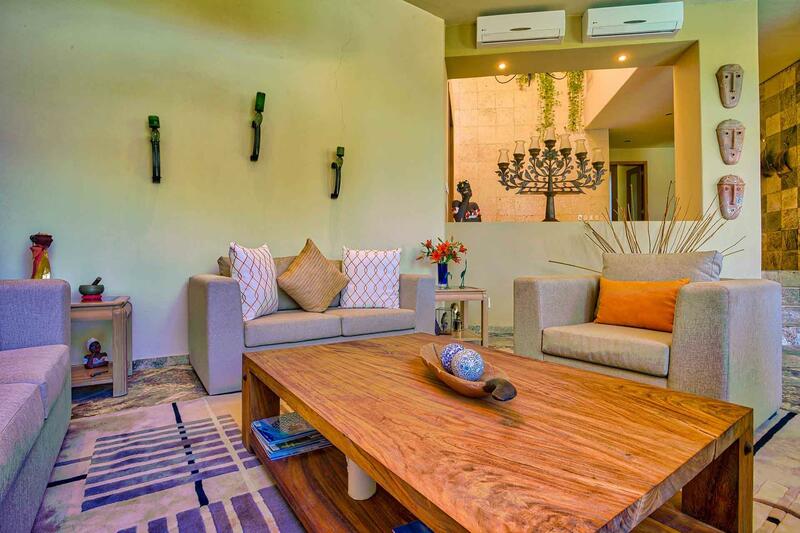 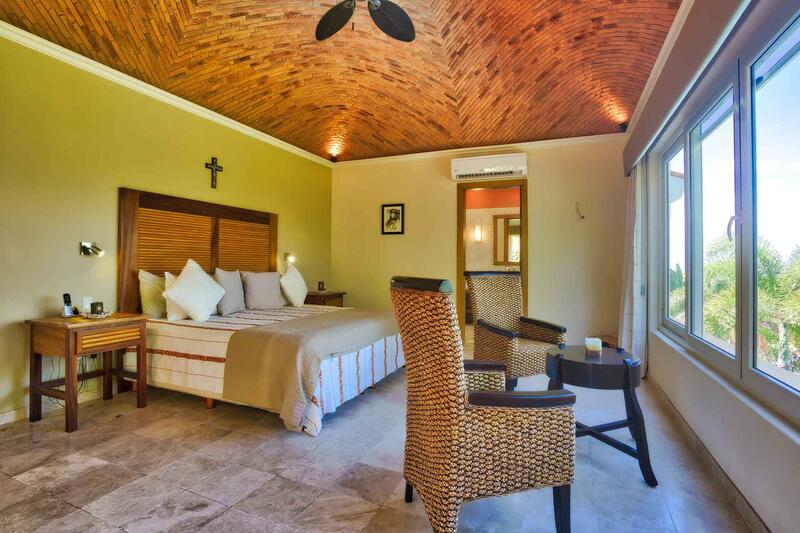 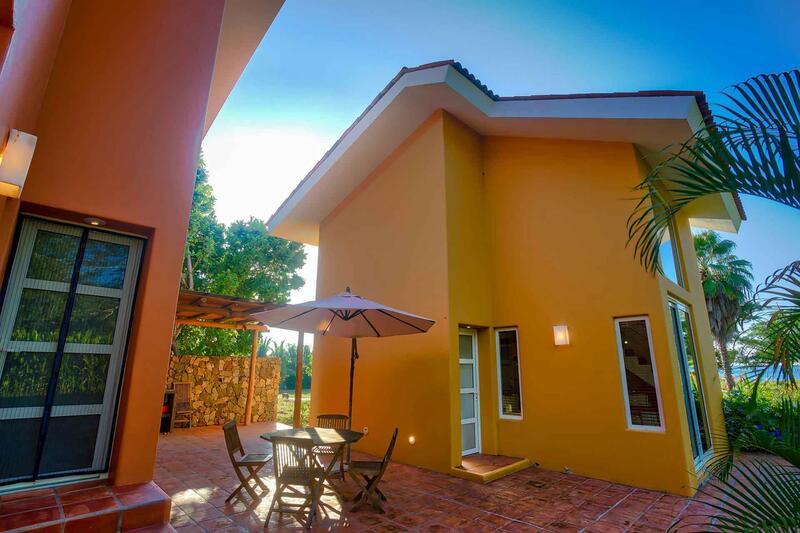 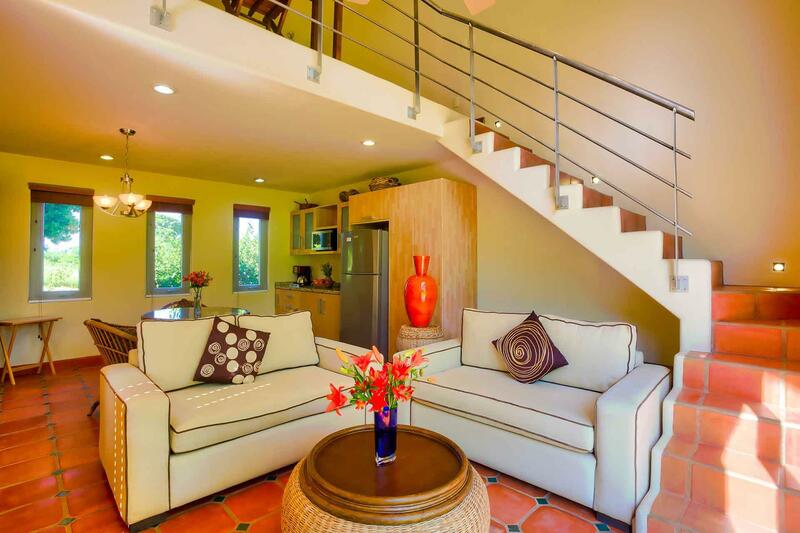 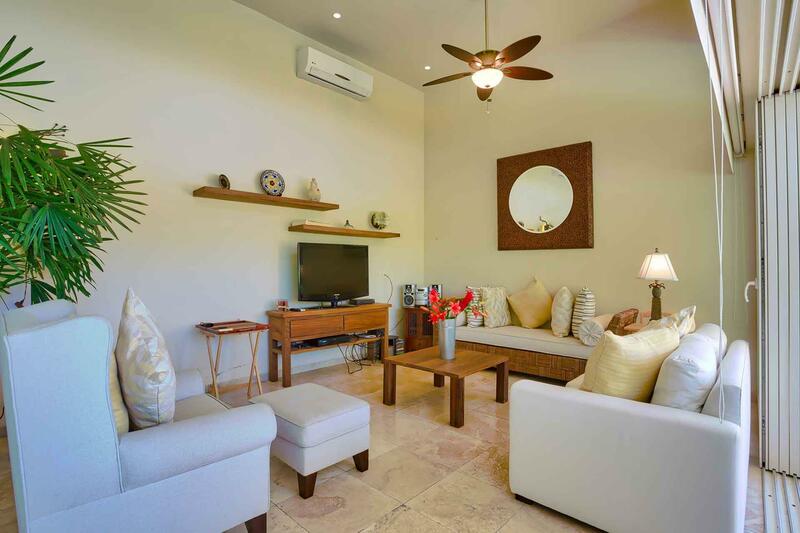 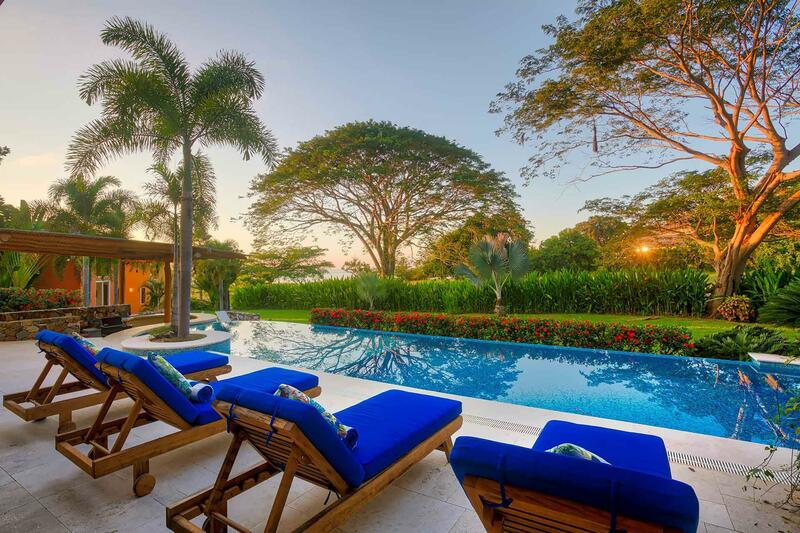 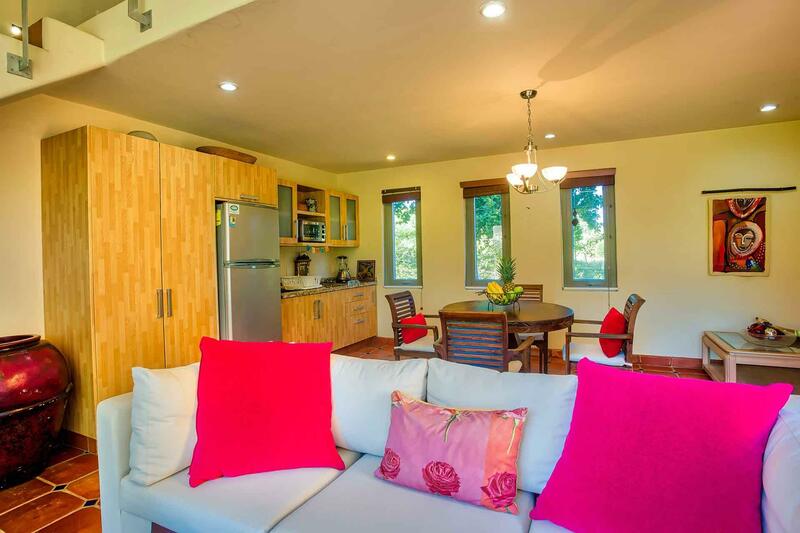 The villa and private, detached casitas were constructed in 2010 with an open and modern style that encompasses the idea of maintaining privacy while being spacious enough for family vacations together.